San Francisco State University’s Metro College Success Program is living up to its name. 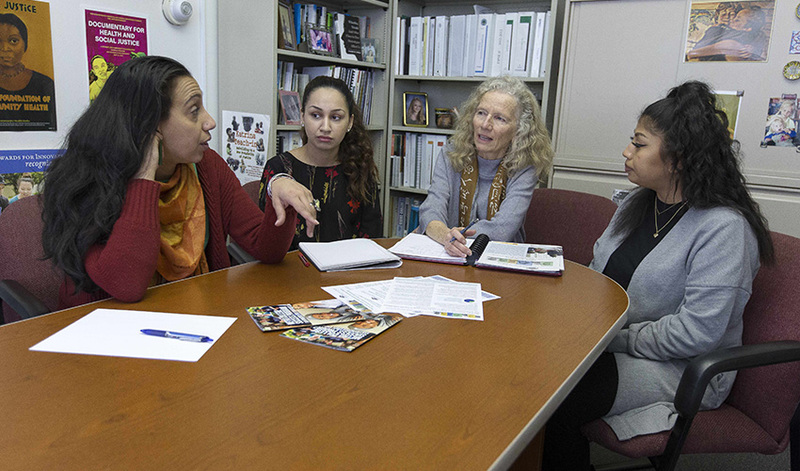 Founded just a dozen years ago to support first-generation, low-income and historically underrepresented students, the program now serves one in four students at San Francisco State. And those students are graduating at higher rates: 63 percent of Metro participants earn a degree within six years compared to 55 percent of a matched comparison group. So what do you do with a program that’s succeeding like that? You expand it, of course. Metro recently launched two more “academies” — cohorts of 70 students who learn together for two years — in the University’s College of Science and Engineering. That brings the number of academies at SF State up to 14, with nearly 1,900 active students receiving services. Love saw that a program like Metro was needed after noticing that many students entering the public health education major didn’t have the academic skills necessary to succeed. With help from Vicki Legion, her counterpart at CCSF and director of the partner Metro Transfer Success program, Love and her team redesigned the first two years of college, applying a social justice, equity lens so courses like statistics become exciting and relevant: students might analyze data on health disparities in disadvantaged communities, for example. A first-year course, “Educational Justice and Academic Success,” helps students find a new identity for themselves as scholars, says Love, and a sense of academic belonging. Students become empowered as they learn to develop their own voice and study how social change happens through social movements and community engagement. Many of them decide to carry on Metro's work after graduating. Case in point: Celina Gonzalez, who came close to dropping out after realizing as a freshman that she needed help with math and English. Fortunately, a friend told her about Metro. Sofia Kakaizada, a senior majoring in biology, went through the Metro program her first two years. Soon she’ll be applying to medical school, hoping to specialize in pediatric neurosurgery. And she has another plan for her future: She wants to give back to the Metro program as a student mentor.